The best anywhere, period! Always helpful, honest, and the most friendly group of people you’ll ever find. Never have seconds thoughts about recommending all my friends and family to come here. Anthony in service is the man to see for service! My recent service experience for my x6 was excellent. 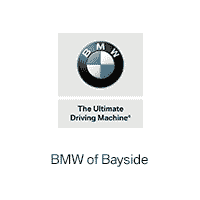 Melissa Nalbach BMW of Bayside provided positive and excellent feedback on warranty and service recommendations. She went above and beyond to make sure that my car was serviced properly. She saw me in the waiting area with a set of mats I had just purchased for my X4 and offered to take them to the car for me. I also have to mention the patience she exercised when I was caught up in rush hour traffic and I had to return the loaner by 6pm. Overall the service she provided was exceptional and I highly recommend this service department.Great service and very professional. Answered all of my questions. Courteous staff and great genius team. Always a pleasure. Top Notch Service and easiest car leasing experience of my life. Had to get out of my current lease and had over 2 years left, other dealers kind of brush you off and push you out the door but Brian Cano and Ron had me in and made sure I was comfortable with the car, signed papers and drove off with an amazing vehicle!! Andy in the BMW Genius was great as well showed me all the new features before I left and made sure I knew how to use it all. Will only use BMW Bayside from now on! Wendy is very helpful and always provides excellent service. She knows what to do, and is very quick when helping me. I am always more than happy to work with her! The only reason I love this dealership is because of Wendy Ng. She truly takes care of you. I could leave her a message and she will call me back right away, She keeps me informed and she’s the best!